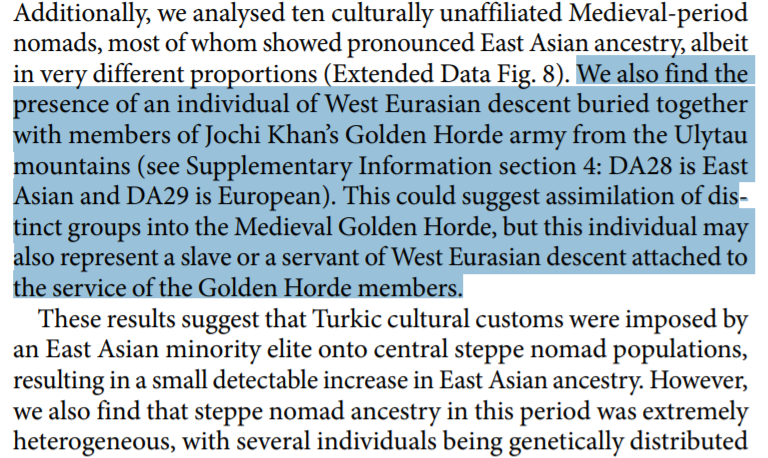 Who was "Golden Horde European" DA29 from Kazakhstan? Thread: Who was "Golden Horde European" DA29 from Kazakhstan? I have some theories about his ethnicity which I've already shared with a few users, but I'm curious about your opinions. What was a genetically Lithuanian-like person doing in the middle of Kazakhstan's Steppe in late 1200s or early 1300s? I was told that his Y-DNA subclade - R1a-YP575 - is of Baltic (not Slavic) origin, even though it is also common among modern Belarusians etc. But how do we know that DA29 was from there, and not from Balts in more western areas at the Baltic Sea? Last edited by Tomenable; 02-12-2019 at 02:48 PM. In 2017 100km south of Kiev near Ros river there were Baltic burials were found dated to XI-XII centuries, maybe it's one of their descendants that got captured or something. Last edited by teftelis; 02-12-2019 at 03:35 PM. You might want to read more from the link in my signature. But to summarise, Mongols used to carry around engineers, linguists and other specialised servants to help them in the areas where they felt they had less experience. Alternatively that could also have been a slave. Could it be a royal hostage? 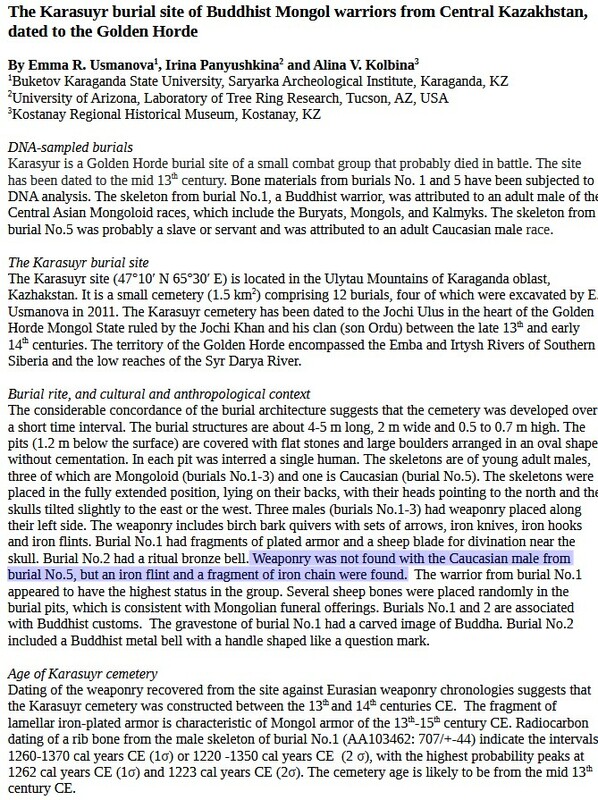 Some additional info on that burial. Two kurgans (1 and 5) had obelisks made from local black quartzite, Kurgan 5 also had an anthropomorphic stele from gray shale . The map looks like around AD 540 - make that AD 560 - so I guess their position is based on a hypothetical archaeological identification. 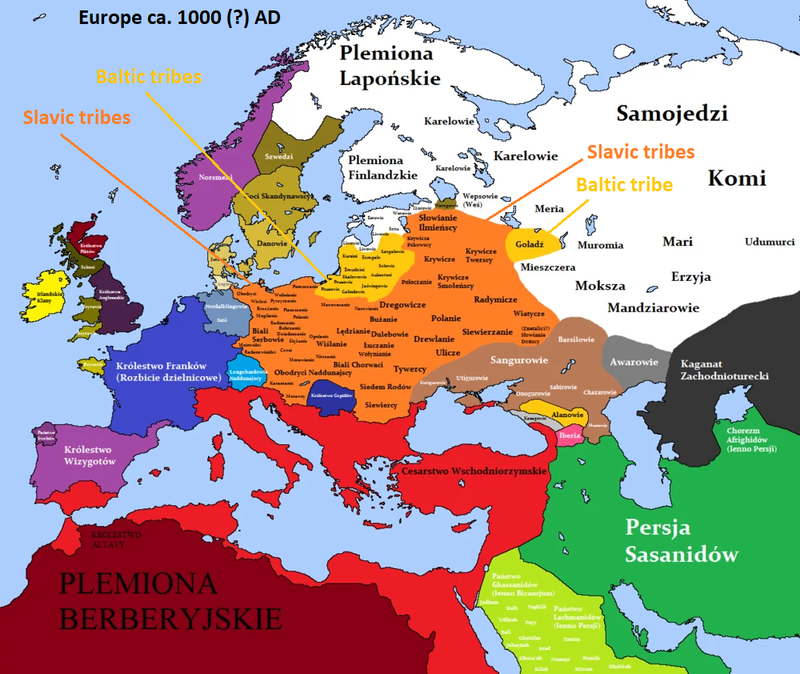 According to Wikipedia, for what it's worth: "The Eastern Galindians (East Galindian: *Galindai, Russian: Goliadj, голядь, from Old East Slavic *Golędĭ), an extinct East Baltic tribe, lived from the 4th century in the basin of the Protva River, near the modern Russian towns of Mozhaysk, Vereya, and Borovsk. It is probable that the Eastern Galindians, as the bearers of the Moshchiny culture, also occupied all the Kaluga Oblast before the Early East Slavs peopled the Moshchiny culture's area at the turn of the 7th and 8th centuries. The Russian chronicles first mention Eastern Galindians as Goliadj in 1058. Prince Yury Dolgorukiy arranged a campaign against them in 1147, the year of the first mention of Moscow in the Russian chronicles. Subsequent chronicles do not mention the Eastern Galindians. Nevertheless, the Russians probably did not completely assimilate them until the 15th (or 16th) century." So it is plausible some would still be around in c AD 1300, whether Slavified or not. Though no real reason to think this guy was one of them. Last edited by Megalophias; 02-12-2019 at 07:13 PM. And somewhere within Gediminas timeline, so could be a captive from Lithuanian - Horde previous conflicts. Also to further expand on this Russian primary chronicle mentions Yaroslaw the Wise tried to secure Kievan Rus borders from nomadic attacks, and in the same chronicle it says in XI century on the valley of Ros river semi-nomadic "own pagans" settled. Who likely helped to defend these borders. But again same as Galindian theory there's a big time gap and not enough historical sources to make any definite conclusions. "Roman DNA" "Anglo-Saxon DNA" "Viking DNA"
What type of ethnic mix is most likely to result in larger "Broadly European" score? Err... "Tunisian", "Puerto Rican", "Egyptian", "Berber", etc. What's up with this? What is the highest "North African" score on Dodecad K12b you've seen for a European?